A man goes to any extent to smarten up his house so that he sees a sight which soothes his eyes after a long tiring day, plus he is confident while giving a tour around his house to the guests. In the aim of making their homes appealing, people bombard their interiors with frames, showpieces, vase and furniture etc; which later gives a cluttered impression of the house and it gets difficult to maintain them. The intelligent step to enhance the interior is to install objects which would be useful as well as do not take much space and increase aesthetics of your home along. 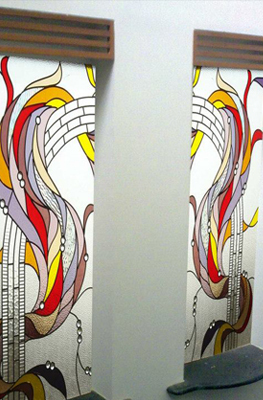 For instance Glass used as doors, partitions, mirrors and windows etc can be etched into designs and colors. · It comes with a number of unique designs thus it can certainly enhance the look of the entire property. · When it comes to maintenance, it is just minimal as you can clean etched glasses just like you clean clear glasses. · It will not get damaged despite being exposed to weather conditions. · It will not easily trap pollutants because of its closed pore characteristic. · When it comes to diffusing light, you can be sure that etched glass is excellent. And not only that, it will significantly decrease glare lights. · And most of all, you will have more privacy when you will use etched glass thus they are greatly preferred as bathroom partition, cashier area partition and in many other areas where privacy is needed. Impala Glass is the most recommended when it comes to etching glass. Services range from etching Photo Frames, Wall Panels, Mirrors, Glass Floor and other glass products. This is backed by home and office projects, as well as Churches. Know more about the projects and etched glass at www.impala.co.ke. 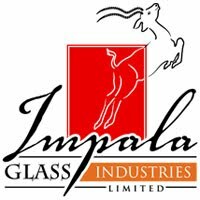 Impala Glass Industries started its operations in 1958. High intentions coupled with sincere efforts, soon showed results as the company progressed towards becoming a major glass processing industry in East Africa. How do you like your Glass and Mirrors---Etched, engraved or sandblasted? Smart Glass for Smart use!